Last weekend, I taught at a writers’ conference. One of my classes was a preview, which provided information on how to make the most of the conference. My last point dealt with processing the information, following up with requests from editors, and following through with plans to improve their manuscripts and submit them. As these words left my lips, a quiet voice inside said, “be honest.” It would have been easy to ignore the internal prompting. Instead, I confessed to the new writers seated before me that, at times, I was guilty of not following up on opportunities and following through with requests from editors and agents. I wanted them to know I still struggle with following up and following through even though I have lots of publishing credits under my belt. Failure to move forward with opportunities isn’t unique to the writing world. You can probably name a number of things you intended to complete or actions you planned to take that you’ve allowed to slip to the sidelines, out of view and largely forgotten. And while you delay, these opportunities fade and often disappear. What makes us do that? What holds us back and prevents us from taking action? The task is challenging and requires effort – After the excitement of an open door fades, reality dawns and you’re faced with a challenging task. 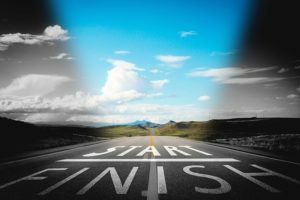 While you may dive in and accomplish initial activities in a flurry of enthusiasm, soon, you run up against some part of the project that requires more of something—more research, material-gathering, leg-work, elbow-grease, brain-power, or a difficult piecing together of multiple components. Then the enthusiasm train chugs to screeching halt and your project pulls on to a side track and derails. Getting the project back on track may take concentrated effort and the help of another. Consider enlisting the support of an accountability partner, someone who will gently, or forcefully, if necessary, prompt you to continue your efforts and see them through to completion. Other pursuits seem more urgent – The daily routine often intrudes and thwarts follow motion. Decide if what feels urgent really is. Be aware of time-robbers and mindless pursuits and take active steps to limit them. Set small goals you can accomplish in snippets of time if long stretches of time aren’t an option. Perfectionism kicks in – Perfectionism is the bane of many a good intention. Perfectionism and procrastination are a perfect pair of powerful preventers. 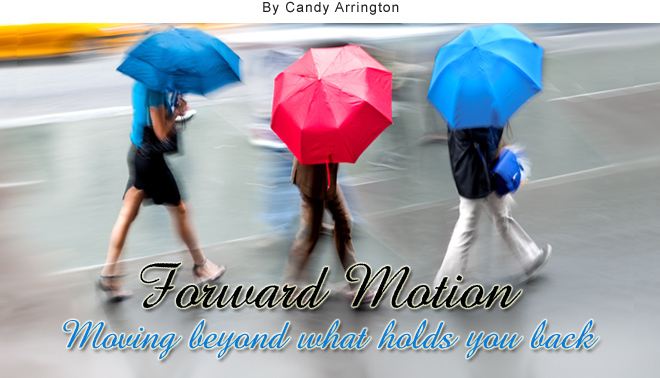 They throw forward motion into neutral or reverse, causing you to re-think, second guess, re-formulate, wonder, ponder, slow down, hesitate, and stop. Don’t let perfectionism win. Forge ahead. Your effort doesn’t have to be perfect; you just have to finish. Fear of failure or rejection – Many do not follow through with opportunities because they fear the outcome. You don’t send in the job application because you might not get a favorable response, or no response at all. Your article pitch or book proposal could be rejected. Your entry in the competition may not win. You might not have what it takes to handle the job if you get the promotion. The list could go on indefinitely, but fear is often what prevents pushing past road blocks and completing projects. Fear is a bad boy, who robs you of success. Lack of focus – For some reason, your mind often goes to other projects and pursuits instead of the one you should be focused on. Those who follow up and follow through have the ability to quiet the thoughts of the new things niggling at the back of their minds long enough to finish the current project. Make notes on the new ideas, if you must, but make them wait in line for their turn for your attention. Uncertainty about what is next – As crazy as it sounds, sometimes we fail to follow through because a positive response catapults us into the unknown. Once you submit the book proposal or job application, accept the new position, or sign that contract, you can’t control the outcome of what happens next. You may have just agreed to something that challenges your intellect and energies. Good for you! Following up when opportunities present themselves pushes your forward, beyond your comfortable, current circumstances. Here’s the good news: despite your shaky resolve, you don’t have to meet the next challenge in our own strength. God is available to help, providing the courage, knowledge, and stamina to see the task through to completion. Perfectionism is the bane of many a good intention. Perfectionism and procrastination are a perfect pair of powerful preventers. Many do not follow through with opportunities because they fear the outcome.